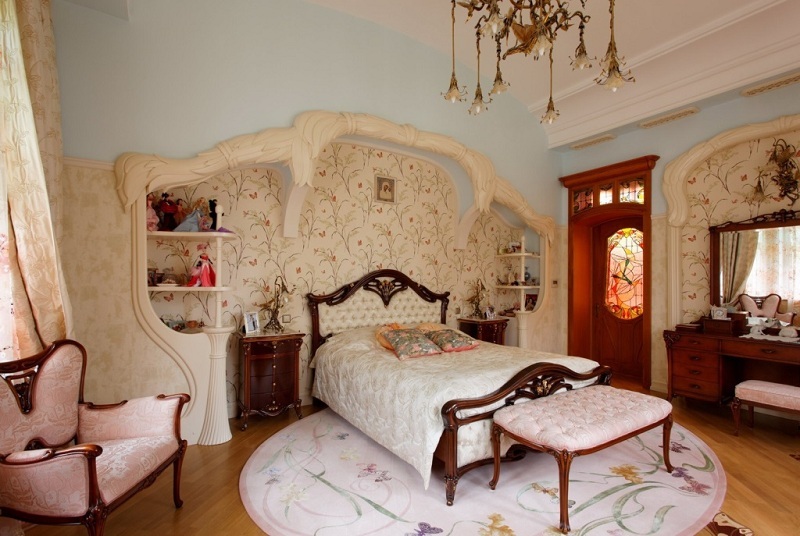 The apartment in Art Nouveau style is recognizable by its smooth, flowing forms, floral ornaments, natural motifs, and natural colors. It is cozy, thoughtful and practical: each piece of furniture fulfills its intended function – without cluttering up space and enveloping the home with comfort. Design direction is perfectly combined with spacious houses and small apartments, looks good both in the kitchen and in the living room. 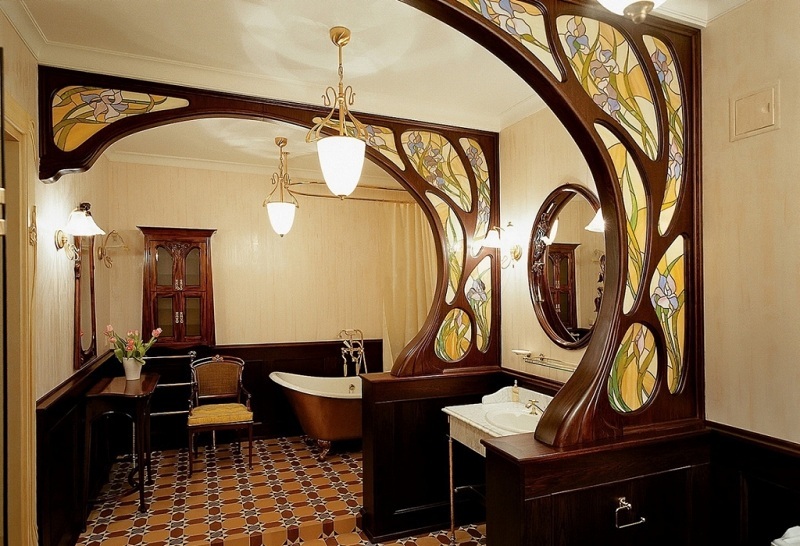 The Art Nouveau style appeared at the end of the 19th century. and instantly became popular, having received special interpretations in different parts of the world: in France, it was known as arnuvo, in Italy it was liberty, and in North America it was Tiffany. The dominance of smooth, undulating lines, the rejection of sharp shapes and right angles. 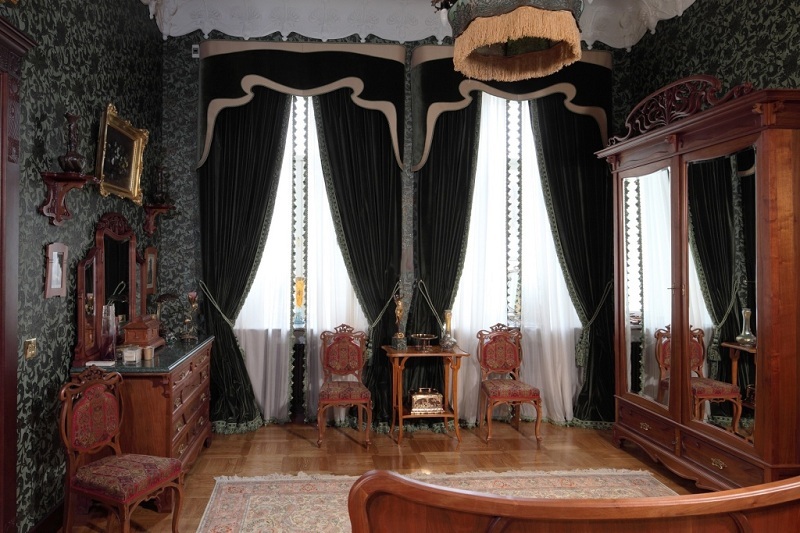 The predominance of plant ornaments – flowers and leaves bloom on the surface of furniture, decorate the walls, home textiles. Subdued colors with an emphasis on purple, silver, gray-green palettes. Modern mixes different designs, like an artist watercolor paints. 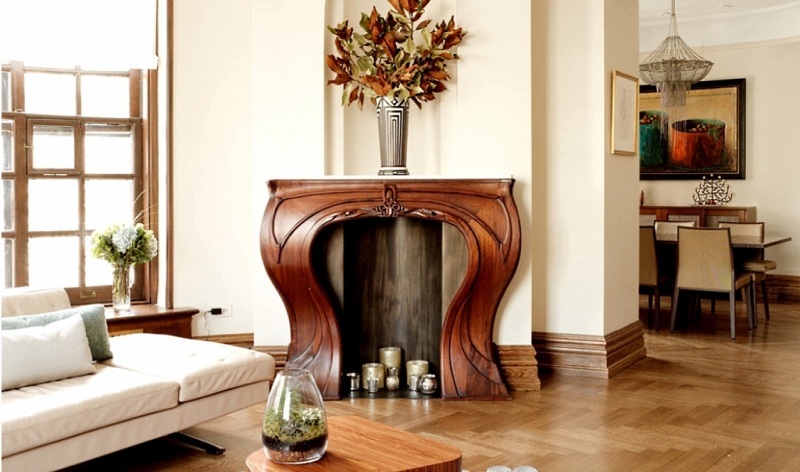 Here there are elements of Baroque, avant-garde, country, Provence and many other areas that make the hearth comfortable and elegant. Muted tones, smooth lines, soft light, natural materials and an abundance of stained glass – all this is modern. If you are going to make a similar repair, consider a few of the characteristic features of the style that relate to many parameters. It will be appropriate to decorate the walls with paintings, photo collages. The traditional solution of modernity is flooring in the square, herringbone, and sea wave style. It will look good natural or artificial stone. 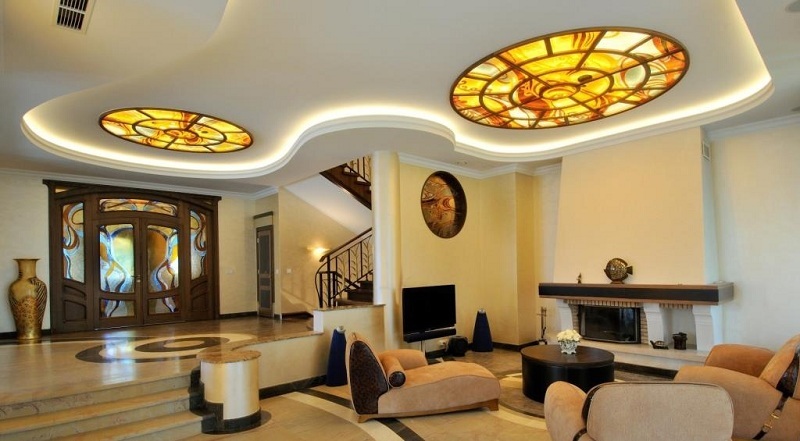 Style involves the creation of unusual, eye-catching ceilings. 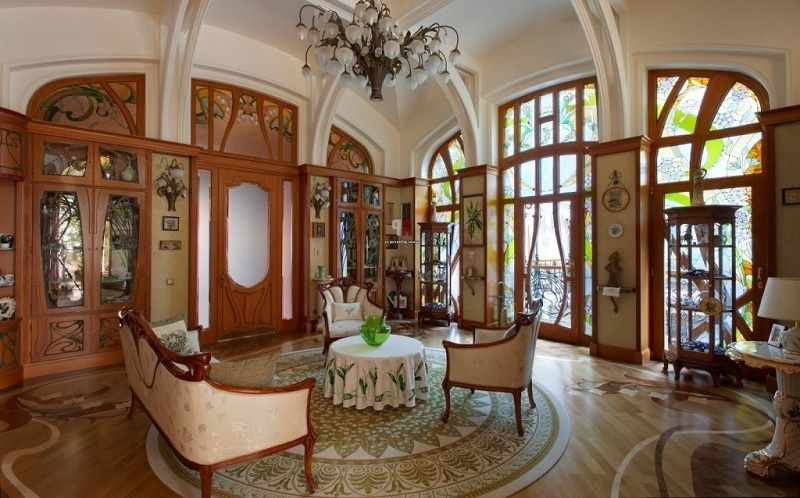 Stained-glass windows, stucco moldings, beams will easily cope with the task. In modernity, everything should be smooth and harmonious. The “business card” of the style is subdued, dim lighting and home textiles with floral, plant, animal patterns. Considering the photo of the interiors of the apartment in the modern style, it is impossible to ignore the light and functional furnishings with rounded lines. Preference is given to furniture made from natural materials, decorated with elaborate carvings, inlays of ivory, mother of pearl, etc. 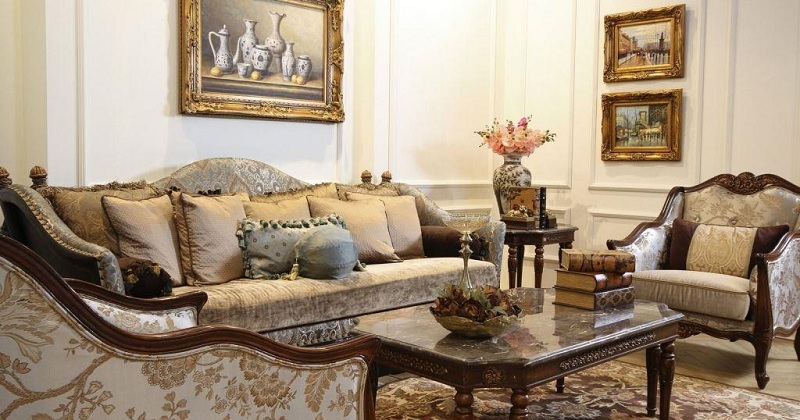 Natural motifs are surely present in the decor. What does a living room, bedroom or kitchen look like, “dressed” in the discreet luxury of modernity? 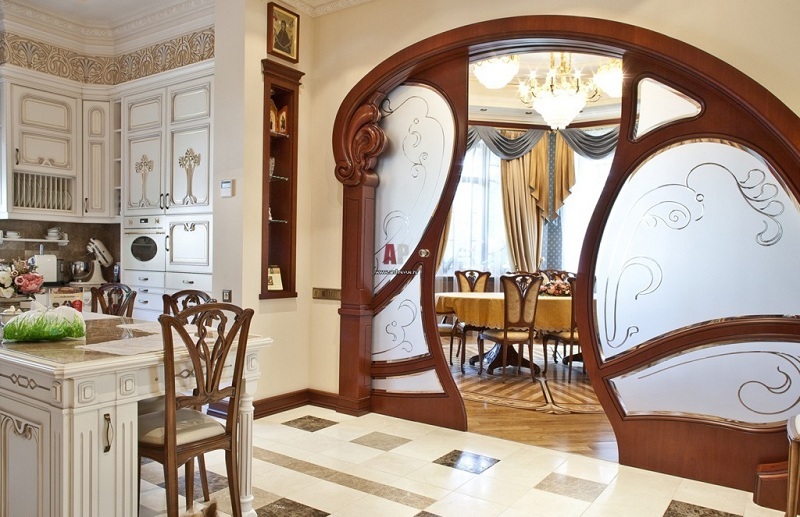 Let’s walk among the best ideas of designers, embodied in the dimensions of different apartments. Fantasy of modernity provides a vast ground for zoning and space arrangement. For the style is characterized by screens and curtains, high wardrobes and shelves, combined lighting. 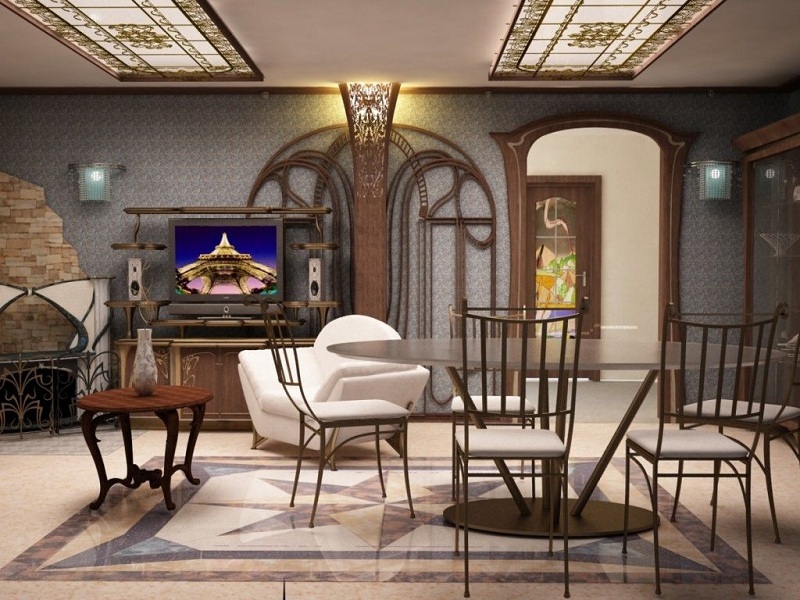 Furniture in the living room should be soft and comfortable, consistent with the chosen concept. Although there are some deviations from the classics – in the form of bright “spots” (sofas, armchairs, puffs, tables) on the background of pastel surroundings. A bedroom designed in modern style surprisingly combines simplicity and beauty. Curvilinear shapes, natural patterns, monochrome palettes, smooth coatings, natural materials, and fabrics prevail here. In such a room, wood and plastic, glass and ceramics, stone and forged elements are successfully combined. The modern kitchen will be executed in calm palettes and successfully combines the dining area with modern appliances. Smooth surfaces dominate here and there is a minimum of decorations. The main rule of kitchen equipment is simplicity and functionality. Modern modernity operates with a rich variety of materials, textures, and textures. Fantasy designer is almost unlimited – the main thing is not to forget about the smoothness of lines, natural motifs and high functionality of the interior. ← How To Choose A Ceiling Infrared Heater?